This bear bar attracts beefy leathermen and their admirers. I love active patios and back room. Does this place have one? Does any bar have one in Phoenix? After a very disappointing evening at Charlie&#039;s, I came to the Bunkhouse. All Male, not a drag queen or Chick in the place. Friendly guys, cheap drinks and a great time. I've visited Bunkhouse a couple of times in the summer of 2006 and it has made an impression. The bartenders were very nice and too cute! The crowd, mostly 30-to-40-somethings, was very pleasant. No attitude at this bar - I kicked back, conversed with a few strangers, and I was cruised a bit (it was alright, though, not creepy.) Had a great time there... will visit again soon! If you like bears, this is the place for you. Have been coming here for years for happy hour or early evening starter drinks. Bartenders have always been friendly. The bar itself is nothing special, just a hangout, but has a really great big patio out back. Especially nice on a warm night. Fire pit, bbq. Local yocals. A nice warm welcome. Real down to earth. Easy to find. Two pool tables were free the Tuesday I was there. Nice looking crowd. No pressure. Had a good time. Cheap drinks with nice lookin bears roaming around the bar. Bartenders were great and helpful to this out-of-towner. Will go back to this bar next time Im in town. Which will be next week! Went in on a recent trip to Phoenix. Bartenders were not, well, friendly, interior wasn't anything to write home about. Patio had a lot of larger men. An overweight barback in track pants and dirty teeshirt shuffling around picking up empties kind of put a stamp on the entire experience. Didn't bother to finish my drink. 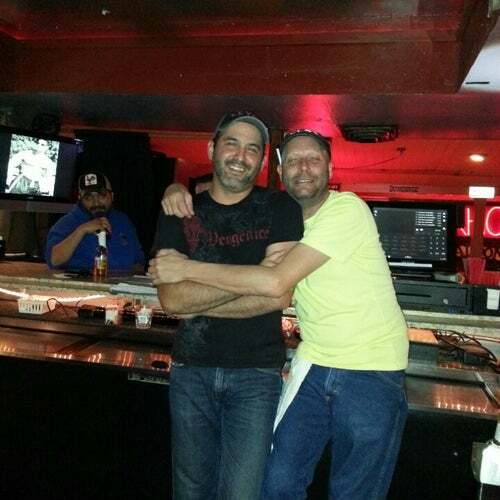 Have been a couple of times, the first was on a karaoke night, and that was a little scary but going back on the weekend the bar was full of regular guys (bear type) down to earth staff that were all pretty friendly. We'll be back for sure! !